dateline: iveaway will close on 10 February 2019 (Sunday), 23:59.
prizes: give away 1 session of Infant trial class in their “Play,Splash, & Learn” Programme valued at up to $50! 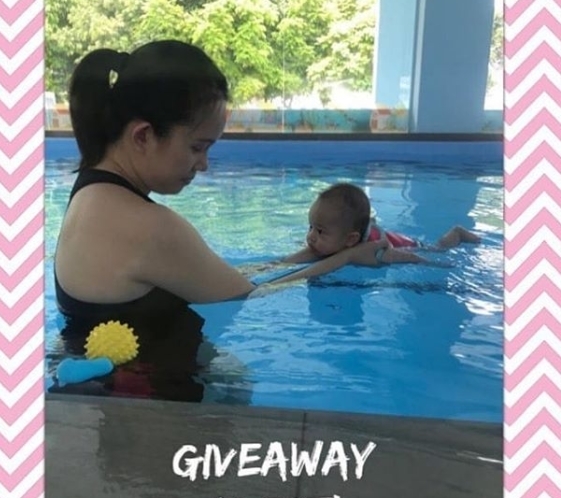 Infants as young as 3 months old are able to join their swimming classes to enjoy the fun of splashing in the water and experience their 'Play, Splash & Learn' Programme. The programme aims to boost the little one's water confidence and love for the water, as well as training them in water safety. It also aids babies in self-reliance and right brain training, while fostering strong ties and promoting social skills with others. requirements: only open to people residing in Singapore and for new students to Little Splashes Swim School. 3. Tag your friends who you think would love to join this giveaway in the comments below. 1 TAG PER COMMENT, the more you tag, the higher the chances. Do not duplicate or tag shops/pages please. 1 winner will be randomly picked for the random draw! Good luck!